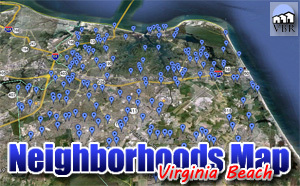 Looking to move to Bay Colony in Virginia Beach? Here are Bay Colony homes for sale! This neighborhood has numerous luxury homes! Most of them tend to have large yards. Plenty of waterfront property exists here. Ocean access is provided via through Broad Bay and under the Lesner Bridge. Some of the properties line the Princess Anne Country Club Golf Course. The neighborhood is excellently located within a pleasant walk to the oceanfront beaches! Nearby neighborhoods include the North End, Shadowlawn and Birdneck. Homes in the area are in the Cox High School Zone. We have a page with all the homes for sale in Bay Colony. Click on this button to see everything currently listed there. When you find a home you would like to see, please let me know! Call (757)589-1237 and I will arrange a showing! Or, on the property, complete the Find Out More form and click submit. I will get information to you right away!